Infected by her own creative urge it was not to be the last journey to musical fields. Influenced by Michael Jackson, Prince & Co, ALMA. discovered the electro dance music in the middle of the 90’s. Fascinated by this new world she went to an innumerable number of events and gigs and was soon to rock the best raves as bartender, with more to come. Besides her greatest love, the music, also fashion plays an elementary role in Alma’s life. As graduated fashion journalist she has sublimated yet several shootings and music videos with her style. After some trendy journeys and style councils ALMA. was attracted back to the dance floor. Clubs like the legendary „Kraftwerk“ or the green room of the cosy „Flokati“ shaped the thrilled Miss Dynamic from a musical perspective. The desire to make her own music was started through her friends that were part of the DJ scene. The enthusiasm grew and so she decided to turn her fascination for music into reality. With discipline and persistence she soon knew how to play the decks. Every Euro was invested in the black gold. Meanwhile the blonde vamp owns a good sized and well assorted collection of discs. Encouraged by her technical skills and creative being ALMA. soon was to ascend the dj pulpit. Since July 2012 she is a member of Berlin based agency LILA BOOKING. Since 2015 she’s Resident-DJ at Munich’s well known club HARRY KLEIN. From 2015 until 2016 she hosted a two month regular party called: “ain’t no romance like goldance” at “Die Registratur” 2016 she changed her so far known DJ-name Alma Gold in ALMA. 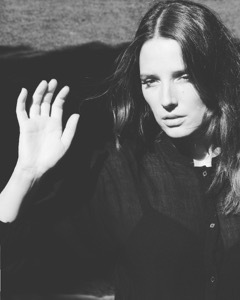 Her first release “Fuzzy Dream” has been signed on Lany Records (digital) in Spring 2011. The second “Diving Bell” has been published on Beatwax (vinyl and digital) October 2011. Since 2016 she’s back in the studio!